"The Best Paving Stone In London"
variety of contractors and public from London and the surrounding areas. 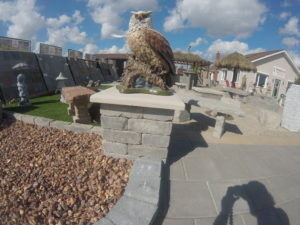 Hardscaping for the London Area from Triple H Paving Stone Inc.
For DIY home projects or commercial building sites in London and surrounding areas, Triple H Paving Stone Inc. provides the hardscaping materials you need for a professional job. 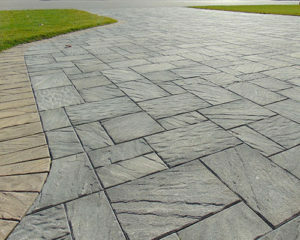 Triple H Paving Stone Inc. can get you the product you need, when you need it! Visit our showroom in London, or contact us for a free estimate. Of course we offer curb-side delivery with our crane truck to residential and commercial sites. Get your materials when and where you want them. 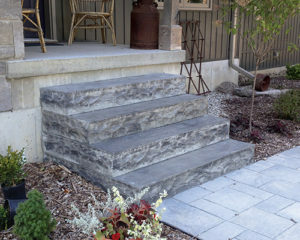 A provider of Triple H Concrete Products, our stock includes paving stones, steps and planters and much more. If you’re a homeowner with little time but a desire for more curb appeal, we are ready to take on your hardscaping improvements. 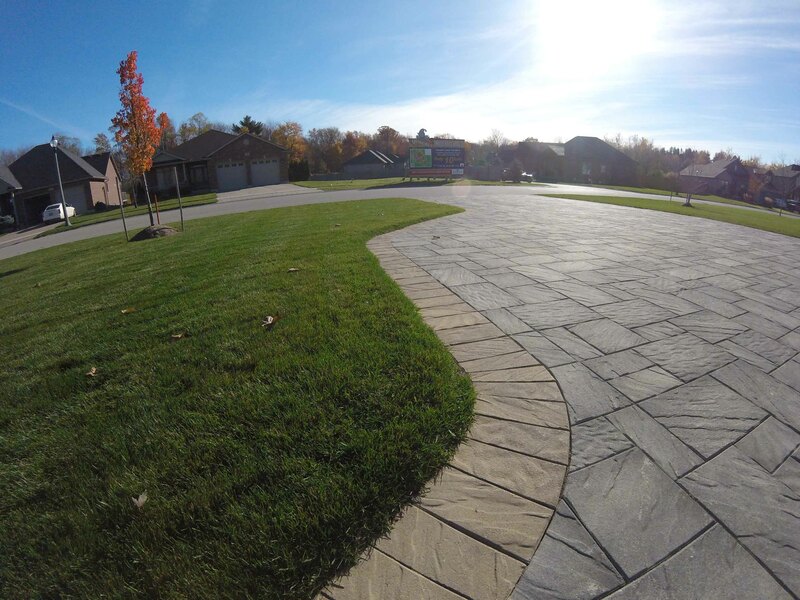 Serving London and area for over 25 years, Triple H Paving Stone Inc. has installed millions of square feet of paving stone for thousands of homeowners as well as commercial builders. 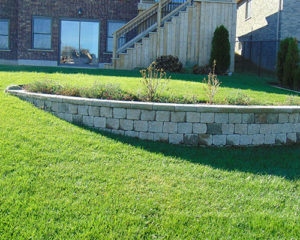 We employ a group of talented and trained individuals, who are experienced in all aspects of paving stone and retaining wall installations. Various options ranging in colours,textures and sizes designed to suit your personal style and preferences. Endless combinations guarantees a landscape that will compliment your home at a price you can afford. Wether it is a change in elevation that needs additional stability, or the addition of a garden, raised patio or other backyard accent, Triple H has the perfect wall to fit your desired need. 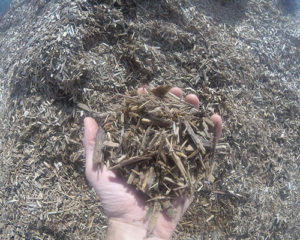 Mulch’s purpose is simple: It acts as a barrier in many forms, blocking sunlight in order to deter weeds while retaining moisture on the soils surface. The mulch also acts as a natural nutrient supply to your garden of choice, allowing you to pull less weeds and conserve more water. 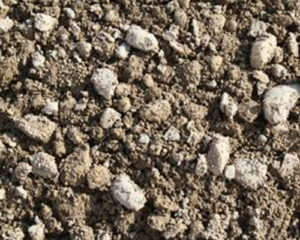 Triple H will not only complete the professional installations themselves, but support the contractors and D.Y.I community as well by supplying various aggregates and ground covers to handle nearly any job at hand. Steps ranging in colours, textures and sizes designed to suit your personal style, preferences and available space. Endless combinations guarantees a front, back or side step that will compliment your home at an affordable price. 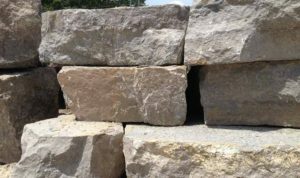 Natural stone or Flagstone is an excellent way add a natural look to your home or backyard landscape, Triple H has multiple shades, and thickness’s available all for available for an affordable price from 20 – 40 cents per pound. 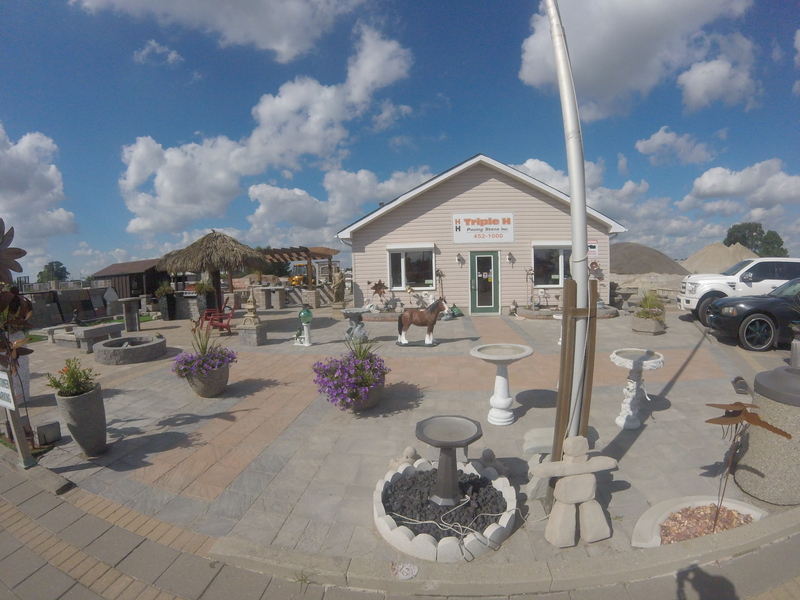 Nothing brightens up the yard like an ornamental statue, concrete birdbath or the properly placed planter. Triple H has a great selection of all of these specifically to help you improve your property! Triple H carries various products supplies by Seal King. Ranging from products such as polymeric sand, sealers, adhesives, cleansers and grips. Most of which come available in different colours, finishes or consistencies. 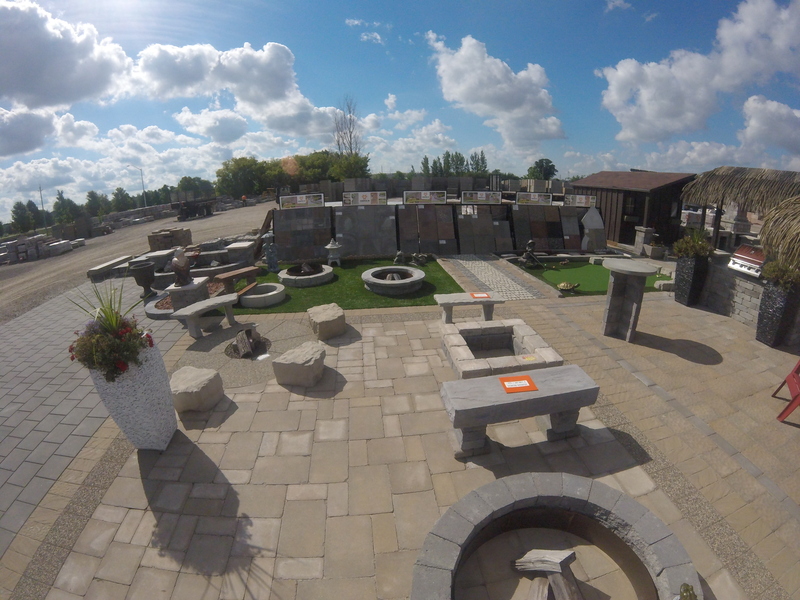 Get in touch with us today, Via Telephone, Email or Drop by our outdoor/indoor show room to see each and every product we have to offer!